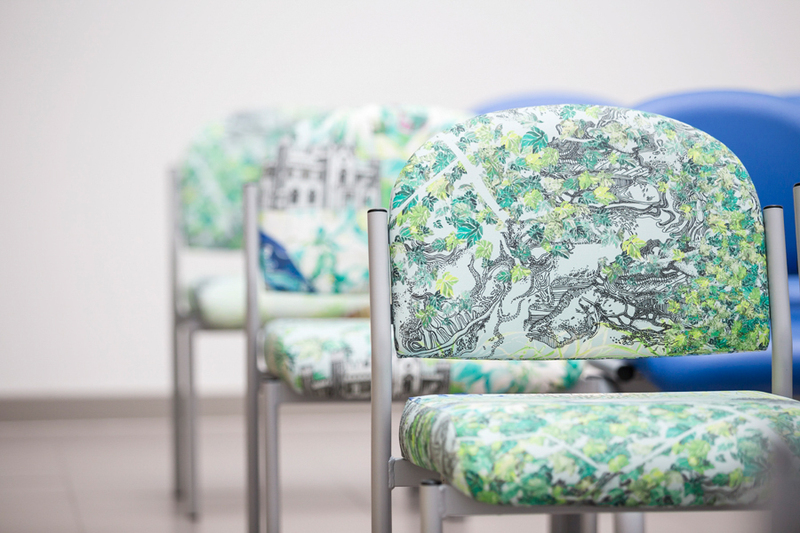 A collection of site-specific illustrative patterned fabrics were created for NHS Lanarkshire for Wishaw, East Kilbride and Kilsyth Health Centres. 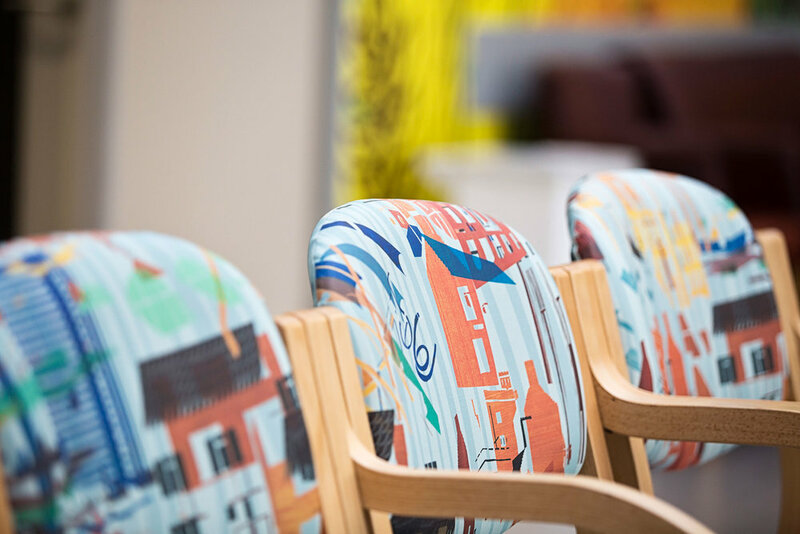 The design created for each health centre was printed digitally onto a vinyl fabric tailored to NHS specifications and upholstered to chairs specified by the client team. We have worked with the form and function of each centre to provide seating designs which act as focal pieces whilst working in harmony with the surroundings. The visitors discover new details about their town by sitting on different chairs each time they visit their health centre. The colours chosen complement the therapeutic environment of the health centres and consider theories on the psychology of colour and dementia research.